If you had seen the woman saying that to me, you'd see a horribly twisted and warped individual—all because she was carrying a grudge. Anyone looking at her would quickly recognize she had a deep-seated problem. She couldn't look you in the eye. People were a terror to her. She was withdrawn, confined to the nightmare world of her own thought-life. I had known her for some time but was never able to learn the secret of her torture until I was called in one day to referee a family squabble. In a private moment with her alone, she dropped her guard and blurted out that cry of unforgiveness. Then the sordid story unfolded. Her dad had assaulted her when she was twelve. Though he repented of the deed and was sorry, she could never bring herself to forgive him. This type of trauma which is common today leaves deep scars. Yet the unforgiveness this woman carried inside her brought her more pain and misery. The poor woman was blind to her self-destruction. She had no idea what she was doing to herself. Unforgiveness is a subtle killer! In the mornings when I was able to walk at a nearby high school track, I joined up with a Christian man and we walked together. In the process of chatting as we went along, he mentioned the death of his mother. Because she had been so healthy all of her life, he felt the doctors hadn't done right by her in treating her prior to her demise. He blamed them for her death. The Spirit prompted me when I suggested, "Maybe she didn't die of an illness at all. Tell me, had she met with a big disappointment or was she hurt by someone?" The man thought a moment and said, "You know, she did have it in for her sister, my aunt.” Then he told how his mother had deeded her two houses to his aunt so that she could qualify for welfare. After a time, his aunt sold one of the houses and kept the money. She felt her sister didn't need it since the welfare was so adequate. "Now that I think of it," he mused, "it was shortly after that, that mother began to fail. I remember her saying, "I'll never forgive her for that!" Did you know our bodies are not equipped to handle destructive feelings such as anger, resentment, and vengeance? We have no emotional exhaust pipe, no way to discharge them. Consequently, they have to be disposed of someplace INSIDE THE BODY. If we allow such feelings to smolder within us, they usually select some organ of the body as a target and vent their fury against it. Under the steady pounding of emotional waves, that organ finally gives way and the person becomes sick or dies. I don't like to use statistics, but I think you should know that more than 70% of the people in mental hospital beds have been put there by their emotions. I am sure your doctor will confirm that. Unforgiveness (which is basically resentment) is a real crippler. As long as we let it linger in our spirits, it'll do its dirty work. There is only one way to end its destruction—you must FORGIVE. Have you ever wondered how God measures our maturity? One of His measurements is how QUICKLY we can forgive a person who has hurt us. Do you remember when Peter asked the Lord, “Lord, how often shall my brother sin against me and I forgive him? Up to seven times?” Peter no doubt thought that sounded rather spiritual. Most of us would have probably said two or three times. Jesus said to him, “I do not say to you, up to seven times, but up to seventy times seven” (Matt. 18:21). In other words, there should be no limit to the NATURE of the offense we forgive, nor the NUMBER OF TIMES. And why must we forgive in this fashion? Because we acquire the Lord's own forgiving nature when we're saved, one which forgives ANY INJURY—instantly! When Leonardo da Vinci was painting "The Last Supper," he became angry with a man and lashed out at him. He even threatened him. Then he went back to his fresco and tried to paint the face of Jesus. He couldn't, there was too much evil stirring inside him. The lack of peace forced him to put down his brushes, go find the man, and ask his forgiveness. Only then did he have the inner calm needed to do the face of his Master. Unforgiveness has this effect on all of us. I know if I tolerate a speck of it in me, I cannot sit at my computer and enjoy God's anointing. My spirit is not receptive to His witness. And should I let the matter go for any length of time, it becomes far more than a speck. Satan sees to that. As the speck grows, the burden of it affects prayer life and fellowship with Jesus. When I was a boy, we had a dog named Turk. When visitors approached the house, he'd set up an awful racket, barking furiously. To silence him, we had to shout above his roar, "Stop it, Turk, it's all right." Reluctantly he'd cease, but then he'd lie down close by and give off a low growl for some time afterward. That's the way some people forgive. They manage to subdue their anger to the place where they will not ACT AGAINST an offender. They might even say, "I'm sorry." But inside they're still growling. They're not about to forget it. Then the devil takes over and feeds those feelings until they grow into a tree of bitterness. Next thing they know, they're carrying a heavyweight in their spirit not once suspecting the real cause. So what do we do to relieve the burden? Take action! A lady came to me with a burden she'd been carrying for years. She mentioned that her best girlfriend had stolen her husband away from her some 19 years previously. She had lost contact with them over the years. I asked, "Have you ever forgiven her and your husband and turned your unforgiveness over to God?" I advised her, “It is something we should take care of as we seek the real cause of your burden." So we prayed. When at last she raised her head, she was a different woman. Her first words were, "It's gone! It's gone!" The burden had been lifted. Here are two verses that bear directly on this situation. Matt. 6:14 & 15 says, "lf you forgive men when they sin against you, your heavenly Father will also forgive you. If you do not forgive men their sins, your Father will not forgive your sins." Please understand this passage has nothing to do with salvation but speaks of protecting our FELLOWSHIP with God. There is no way we can go to God, who sees our hearts, and expect answers to prayer when He sees the unforgiveness. 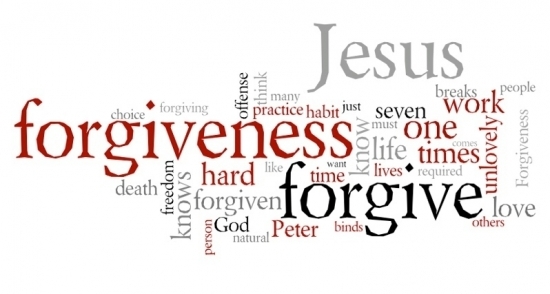 So let's agree to "forgive one another just as God, for Christ's sake, has forgiven us!" (Eph. 4:32). And we'll enjoy the power that comes through the unity of the Spirit. But we shouldn't stop with each other. Maybe there's someone against whom you have a grudge, or one is getting started. You'll do yourself a favor if you go to him (or her) and get it off your chest. Not only will you feel great, but you'll make the Lord feel good too. If you're willing to do that, I'm sure you'll find the Holy Spirit has gone ahead of you to pave the way and make it easy for you. Once you do it, you'll come away rejoicing. You see, it is not only great to be forgiven, but it's also glorious to forgive! Remember, how fast you can forgive is a reliable measure of . . . YOUR MATURITY AS A CHRISTIAN! © Personal Christianity 2018. All rights reserved. “If we confess our sins, He is faithful and just to forgive us our sins and to cleanse us from all unrighteousness!” (1 John 1:19). Of course, you know the verse. But have you considered what an awesome offer it presents to us? Here we are, born with natures that guarantee we will sin and that’s the way God wants it. It is the struggle against evil that makes for Christian growth. So we live a life of struggle until the death of our bodies. And all of it mandated by the will of God. So what hope do we have if we are guaranteed to sin? Just this—a marvelous provision set before us that allows us to be not only forgiven but cleansed from every speck of evil. No matter what we’ve done, how foul our sin, or how often we’ve done it, God is eager to forgive us. He aches to forgive, and 100 times a day wouldn’t be too many for Him, though it might be painful for us. What a glorious provision God sets before us! We can be as clean as we want to be. Some of us might have to be cleansed many times in a day, but God is waiting and anxious to cleanse us. Shame on us if we don’t take advantage of this. Think of it, guaranteed sinners with guaranteed forgiveness! How it hurts our Father if we don’t care about being clean. How can we feel comfortable in His presence if we’re not? How can we expect Him to answer our prayers? How foolish that would be! 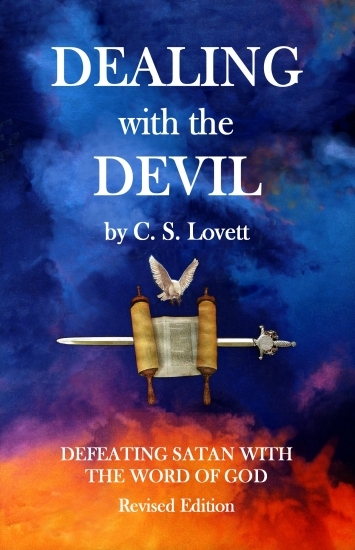 Dr. Lovett’s best-selling book DEALING WITH THE DEVIL has been updated and revised for today’s readers. It is our desire that every Christian home has a copy of this vital and informative book regarding Satan and his evil doing. It is available on Amazon.com and sells for $14.99. If you are interested, you can click HERE to order. Dr. Lovett's most recent book THE PREPARED LIFE is also available by ordering through Amazon.com. Click HERE to order and get more information.